On this episode we welcome a VERY special guest! He’s a power-stylist. He’s an American hero. He’s TJ Spurgin! We talk about so many things, you’ll have to listen and find out all of the things! There’s also a podcasting first! I assume it’s a first…an on-air bang trim! 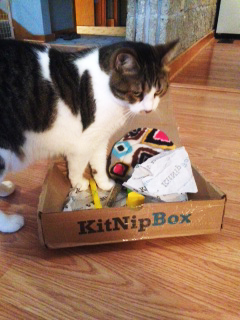 Along with all of the human fun we had with TJ, our cats had some fun courtesy of Kit Nip Box! What an exciting time to be alive!